Self-improvement is a lofty goal that many of us are reaching for. We want to get past our challenges, bring out our strengths, and become the best and happiest version of ourselves possible. For many of us the journey is amazing. It’s illuminating, instructive, and successful. We are able to overcome and persevere, with more joy and ease than we originally thought possible. I was reminded of this recently when I was cruising around Facebook. I do enjoy Facebook, and am so grateful for the opportunity to stay in touch with friends and family, near and far. If it weren’t for FB I wouldn’t get to see as many pictures of my nephews as they win their various sports competitions or watch as my kids’ friends, people I’ve known since they were 3 or 4, get married and start families of their own. It’s one of my favorite tools of the 21st Century. Ok, as I was saying, some people are constantly in search of making themselves better. I recently saw a post by someone talking about how they had already spend $4K on self improvement this year, and that was just the beginning. They were getting ready to make another $5K investment in themselves to try and “fix” what was wrong with them. I must admit, this was one of the saddest posts I had seen. 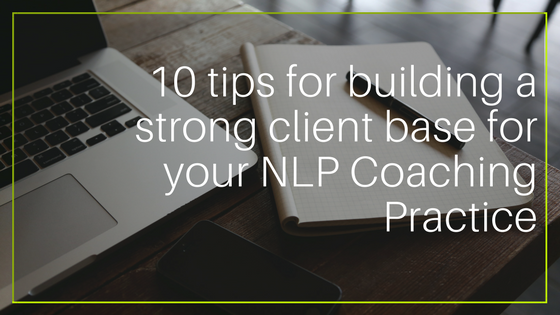 As you know, one of the core NLP presuppositions is that People Work Perfectly. That doesn’t mean we are perfect, it simply means we work perfectly. Now sure, we can all gain access to more resources and strive to do better, but the need to be fixed is one that has always seemed sad to me. The statement itself presupposes the person is broken. And that is a painful belief for anyone to hold. Shortly after seeing that post I ran across an article called We dedicated a year to self-improvement: here’s what it taught us. It’s a fascinating recount of a year long journey into self improvement for two young men. They chose to focus on one area of their lives each month for a year. Now, I can’t say I agree with all of their methods, and I certainly wouldn’t recommend them all. However, what I found interesting was their take on the industry itself. I mean, we are all learning NLP, in some way, to better ourselves and our lives. That’s what has drawn us here. The specifics of our goals may vary, but the overarching desire to improve ourselves is the same. 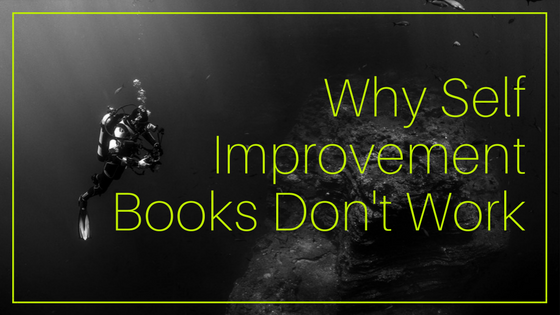 So, where lies the difference between wanting to improve ourselves and becoming trapped in a never ending cycle of self-doubt and desire for improvement? To me that line is different for each of us, as we each bring a different set of experiences and perceptions to our present day. What is key, in my mind, is the judgement that so many place on themselves. It is not about the desire for self improvement, rather it’s about the image of self at the current time. The self-improvement industry is a booming industry, with billions sold each year in books, courses, events and more. And this begs the question, how do you know what book or program to purchase. How do you know if you are too passionate about change, judging your current self in the process? You know by how you feel now. If you are feeling like you would like to make change, like there are areas of your life you are unhappy with, like you want more than you currently have, then you are likely doing just fine. If you are feeling like you are a failure, like you are not enough, or not right, then you might want to notice the language you are using when you talk to yourself. You are enough. You are right. You are not a failure. You may have experienced times where you felt like these statements weren’t true. We have all had times like that. But that is different than feeling these things on a regular basis. When we judge ourselves on such a regular basis and broad scale that those judgements become our self-image, that can impact more areas of our life than we know. And reading a book likely isn’t going to change that. And as Carl and Andre noted, our friends from the 12 month experiment, immersing yourself in the self-help culture and expecting to emerge a new person is a bit too lofty for reality. What you can do is to continue your journey through life, improving where you can, learning what you are driven to learn. Commit to being the best you that you can be every day, regardless of outside forces and influences. Honor yourself and your journey, understanding that each person has their own journey. Yours is not better or worse than someone else’s. It is, quite simply, yours. When you allow yourself to honor your own journey, absent of comparison to anyone else’s, you remove the judgement of yourself. You are free to be who you are, right now, and take the journey you choose to take.